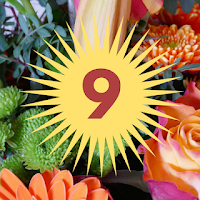 We, at TeachingAuthors Central, are celebrating our ninth (9th!!!) blogiversary and feeling pretty darn grateful. Carmela, our Chairwoman of the Blog, started the celebration back in April, writing about our origin story and previewing coming changes. Still in a celebratory mood, we're each posting on the topic: What I Love About Being A TeachingAuthor. Mary Ann posted the wonderful Think Write Love--with apologies to Elizabeth Gilbert, Carla writes her appreciation of sharing the real life issues of being an author, and Carmela posts her appreciation to you, our readers. When I was invited to join this blog, I remember thinking two things: 1) What's a blog? and 2) Why would anyone want to blog? But what I discovered is that I'd moved into an online home with five extraordinary roommates in an online galaxy (the Kidlitosphere) with an infinite number of generous souls. My village. My peeps. So after nine years, what do I love about being a TeachingAuthor? “The ache for home lives in all of us. Why blog? Because for the writer in me, this blog is home. in our exciting, topsy-turvy, dog-invaded home. poem (c)2018 April Halprin Wayland, who controls all rights. May all your blogging bring you joy. 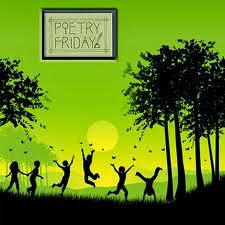 Thank you, Kiesha, for hosting Poetry Friday! Grateful for you! "An online galaxy with an infinite number of generous souls" is a beautiful way to put it! A dog is a wonderful subject for poems, for sure. Congratulations, April! Blogging does fulfill you and other in so many ways. Thank you for sharing your poem with us! Happy Blog Anniversary! May there be many more years of posts and dog poems! Congratulations on 9 years of blogging! I love the Maya Angelou quote and your phrase: "an online galaxy..with an infinite number of generous souls." What an incredible thing it is to find a home in an online writing community. Oh what fun your poem would be to illustrate, along with your "topsy-turvy" dog!" Glad you are blogging April, and happy 9th Anniversary to all the Teaching Authors, and to many more to come! I've read all of you for a long time, but maybe not 9 years. Congratulations on that anniversary. It is nice to find "home" & one with a puppy in it is twice the pleasure. Hugs to you this summer, April! What a boost of energy this posting is. Thank you for deciding to find out what a blog is and to become part of the blogging community. Happy Anniversary! I have been blogging about the same amount of time, and regularly consider closing it down, but then I think about losing connections with all of the people I have met, and I can't stand that. Your poem describes my house. There are no little people any more, only grumpy young adults, but I have a dog who is always happy to see me and be with me! Perfect! April, congrats on celebrating nine years of blogging. I love the way that blogging connects us to so many like-minded friends. Love the poem of your topsy-turvy dog. Irene, Tabatha, Jama, Ruth, Kiesha, Jane, Mary Lee, Molly, Michelle K, Linda B, Michell L, Carol,and Ramona! Sorry for this delayed response to your kind comments. All of you are generous souls in our online galaxy! As much as possible, I am trying to stay off social media this summer--actually this lifetime. It is an interesting balance between the home I've found on-line and the life I aspire to live on Mama Earth! Out-and-About at Chicago's Printers Row Lit Fest!